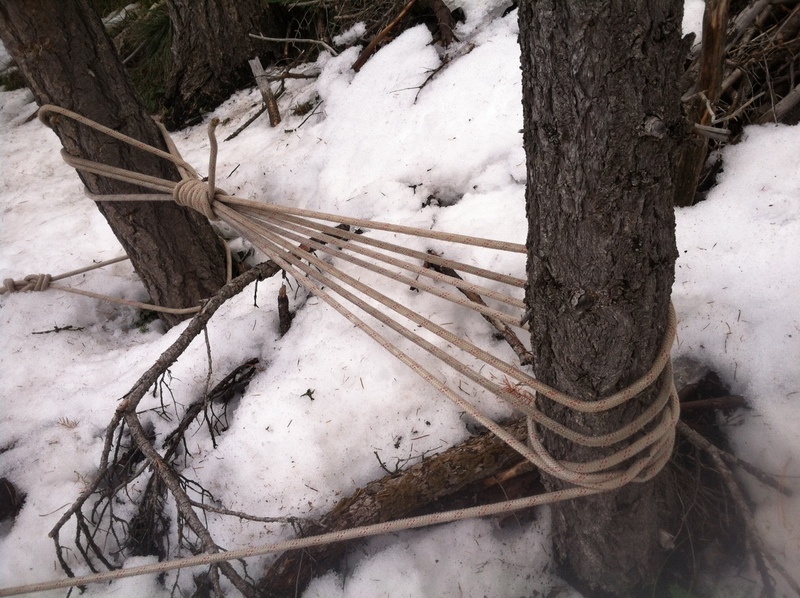 My guess is that they just wanted to tie up the loose end of the rope in a way so it wasn’t resting on the snow. My guess is the single looper is tied with a figure 8 follow-through and half-hitch backup. The wrap is just a whip, but poorly secured since it just comes off the load line and starts wrapping. Usually started w/ half-hitch to avoid slippage. Yay trainwreck! 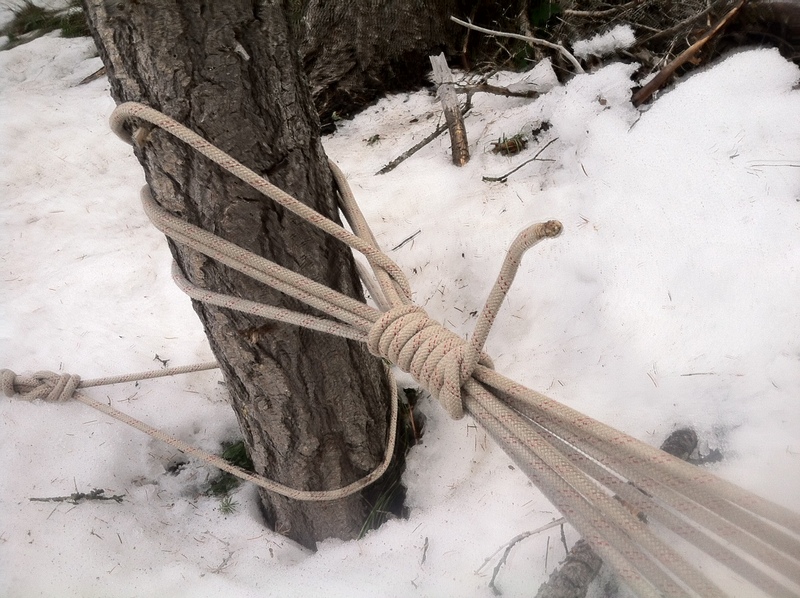 The “Knot” in Figure 2 appears to be wraps around the rope slung between the two trees finished off with a half-hitch. 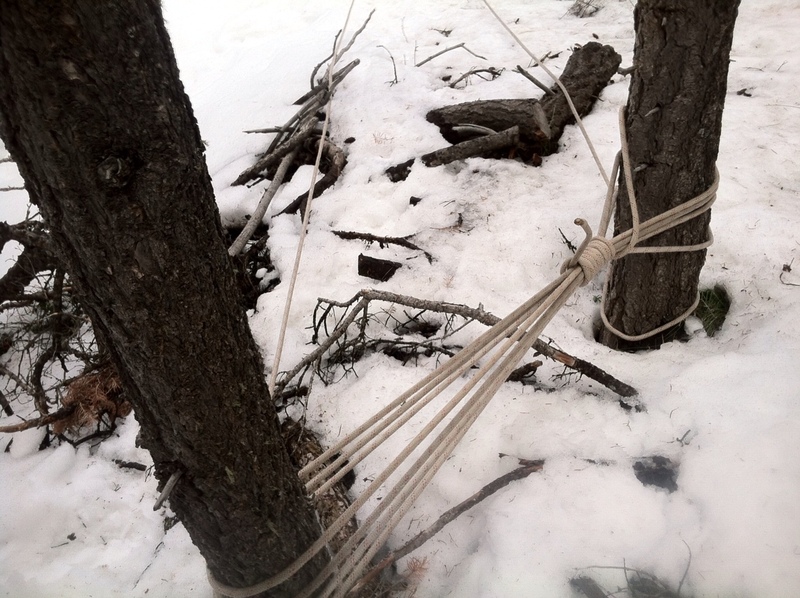 Holly molly…I think Remco is on the right track….just a convoluted way to keep rope free of snow. Maybe just to keep the rope out of the snow? That knot on the left edge is most definitely a bowline with a yosemite finish, more specifically, it’s a double-bowline. It’s got two “wraps” or loops rather than the standard single loop on a standard bowline. This used to be a preferred method for tying in, back in the days of goldline.